According to Edmund Husserl’s diagnosis, we can speak of the crisis of sciences which generally consists in the loss of faith in reason. 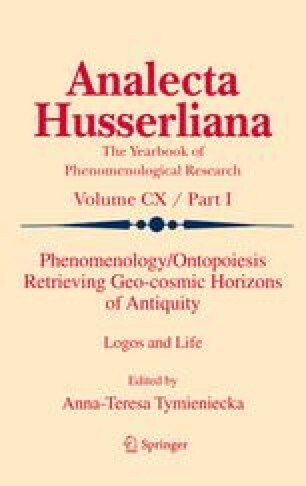 In the light of the Husserlian analysis, reason had become merely a technical and computational power of cognition leading humans to the control of nature, and to an oblivion simultaneously, the oblivion about human essence, i.e., governing life by reason. Conversely, Husserl sought an authentic view on reason, and, as he argued, the authentic notion of reason was present in antiquity. Precisely ancient Greeks defined reason as the foundation of the human life. The main purpose of the article is to present Husserl’s immanent development of his considerations on rationality which led him from the theory of objective reason to a formulation of the theory of reflection on a practical level. By referring to the ancient ideal of reason, as it is argued in the article, Husserl re-examined cognitive model of reason and he introduced practical and communal dimensions of rationality into the mentioned model. Such a theoretical step can lead to the reinterpretation of so-called phenomenological movement in general, and of Husserl’s phenomenology in particular.